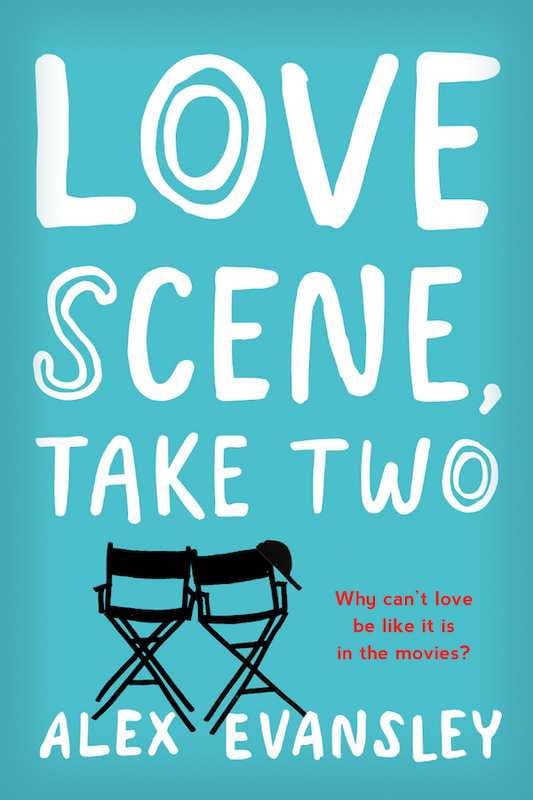 Love Scene, Take Two is Alex Evansley’s debut novel with Swoon Reads. I was especially excited about reading this novel, and it did not leave me disappointed! I cannot remember the last time I flipped through a novel so quickly! Teddy just had a terrible audition for the lead in the latest adaptation of a bestselling YA series, and now he’s on a plane flying across the country to meet his girlfriend for a weekend getaway. Unbeknownst to him, he’s sitting across from the series author, Bennett, who is also the lead screenwriter of the movie script. After a hurricane hits Florida and his second flight is canceled, Teddy has no place to go. Bennett takes pity on him and invites him home. They hit it off so well that Teddy ends up staying the entire weekend and they start to fall for each other. However, a major misunderstanding at the airport leaves a riff in their relationship and Bennett is set to never talk to him again. The only problem? Teddy ends up getting the lead role and now Bennett will be stuck on set with him for a couple of months. The first half of the novel is from Teddy’s perspective and takes place over a long weekend at Bennett’s house. The second half of the novel then switches over to Bennett’s perspective and takes place six months later on the movie set. The switched perspective surprised me at first as I was not expecting it. However, I ended up really enjoying the different perspectives. It worked especially well because Teddy’s POV takes place while he’s an outsider in Bennett’s world (at her house on the lake) and Bennett’s POV happens on the movie set, which is most definitely Teddy’s world. Love Scene, Take Two is such a delightful read. I loved Teddy and Bennett’s flirty interactions and easy banter, which helped keep the novel moving in a fast pace. Both settings (the lake and the movie set) were great in their own ways, and I was glad we got to see Bennett’s family. I especially enjoyed the additional characters in the second half, such as Emmy and Olivia. At first I thought the story was going to devolve into Olivia, the actress playing the main heroine, causing drama and jealousy between Teddy and Bennett. However, that doesn’t happen and I love how supportive she is! I was so glad that Bennett and her were able to form a friendship (and that she shipped Teddy and Bennett just as much as I did). Also, Bennett’s book? I totally want to read it based off of the scenes that were being filmed! Overall, Love Scene, Take Two is a fun, flirty, fast-paced summer read—perfect for fans of Famous in Love! I look forward to reading Alex Evansley’s next novel! Great review! This sounds adorable and very character driven! Me too! I really loved reading about Teddy and Bennett in this one! Can’t wait to read it myself!! !